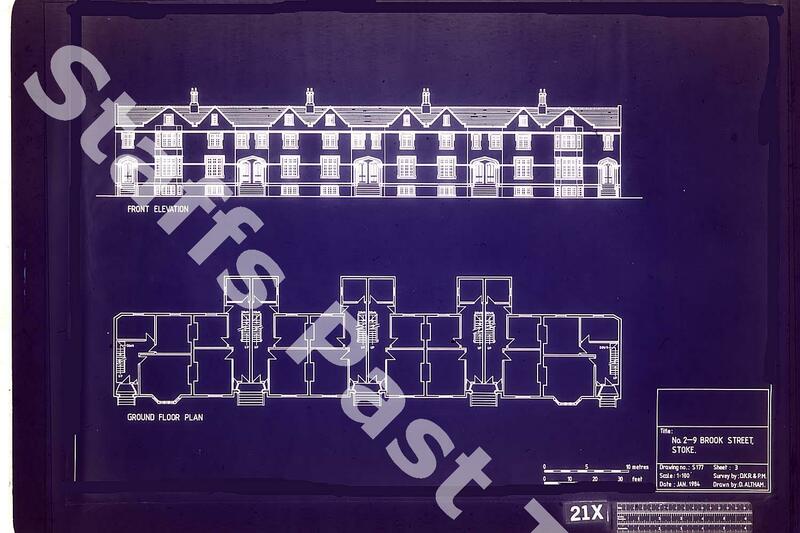 Description:This building plan shows the row of terraced buildings on Brook Street in Stoke. They were designed by Henry Ward in tudor-gothic style and were constructed in 1838. 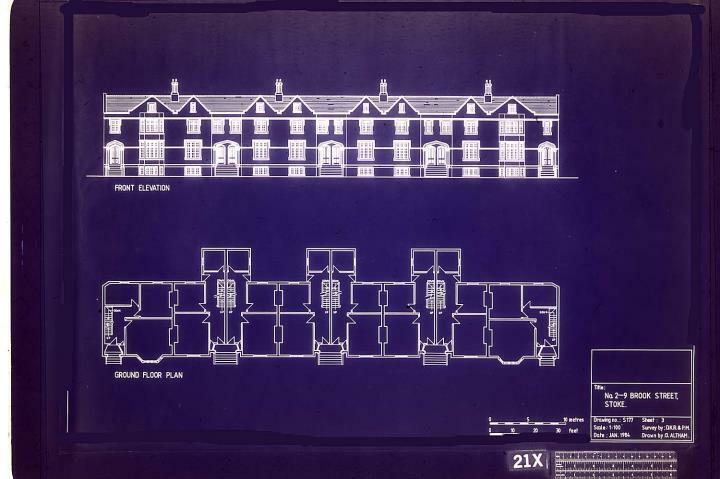 Many of the buildings are now used as offices and they are all Grade II listed.